WHOAS is pleased to announce that the 2015 fund raising calendars are now available. The calendars have been received so well in the past and we appreciate all who have supported us over the years by purchasing them. 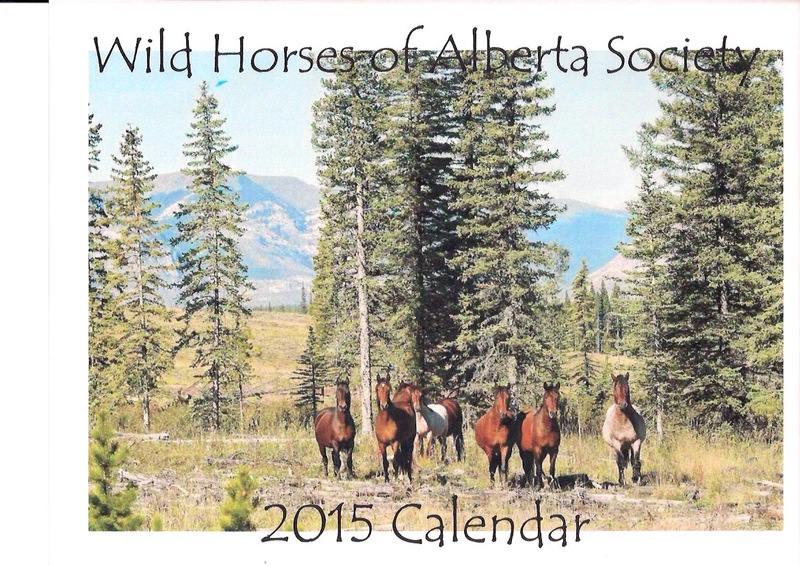 The sale of this calendar is the only fund raising that WHOAS undertakes and all money raised goes into helping us protect and save the Alberta wild horses. As you have read in the previous posts, WHOAS has undertaken some important programs to assure that these wild horses remain forever on the landscape. WHOAS has always worked toward the goal of preventing some of the tragedies that have happened to these horses in the past. We are positive that our current course of action, working with the ESRD, will help us properly manage the horses. Some of the costs we have incurred are substantial but through the generous donations of many individuals and companies, along with this fund raising through the calendars, we are able to fund all these initiatives. I think it is important for our followers and the public to know that WHOAS is a registered, non-profit society in the province of Alberta.